You know how sometimes when you’re around something so much, that something becomes a bit forgettable over time? This is precisely how I felt about the classic blue and white china I’ve seen for years on my mother’s shelves. It just seemed a little… old (sorry, Mom!). Until, that is, I began to see it appearing on fabric in the form of chic dresses and tops. On a fresh form, it’s suddenly more appealing than ever, don’t you think? I’m certainly one to appreciate a good pattern and the combination of bright blue and clean white seems crisp and relaxed at the same time. 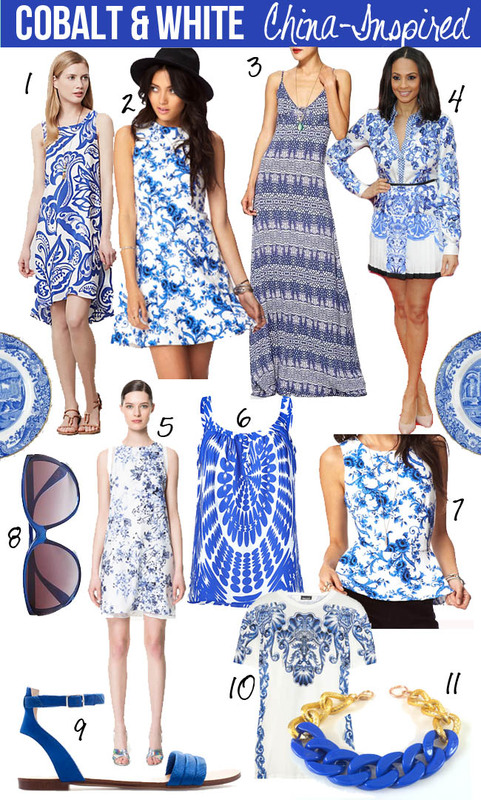 Here are a few high and low items for fun china-inspired summer style.